The Freedom Partners, a group partially funded by the Koch brothers, launched a $1.6 million television and digital ad campaign targeting Sen. Tammy Baldwin, D-Wisconsin, in her home state. The ads, titled "$5 Trillion" and "Absolutely Wrong,"call out Baldwin's stance on taxes as Republicans in Congress are making a push to pass tax cut legislation by the end of the year. "Baldwin voted for five trillion dollars in more taxes," the "$5 Trillion" ad declares. "And she voted five times to raise ours." "Baldwin supported higher income taxes, sales taxes - even energy taxes," the ad continues. "Rigging the system against us. Standing in the way of more jobs and higher wages." The other paints the Wisconsin Democrat as a politician who's undermining American workers. "If Tammy Baldwin opposes tax reform, it's proof that she opposes jobs," the second ad argues. "She opposes higher wages. "I know of nothing that she's done to help working people like us." Freedom Partners singled out some of her votes that ultimately raised taxes, including her vote in favor of the Affordable Care Act, as well as others on legislation that didn't pass but would have increased taxes significantly. One such measure was a budget proposal advanced by the Congressional Progressive Caucus that would have meant a $5 trillion tax hike. "Wisconsin deserves a senator who will fight for more jobs, higher wages and greater financial security for all Americans," said Freedom Partners spokesman Bill Riggs. 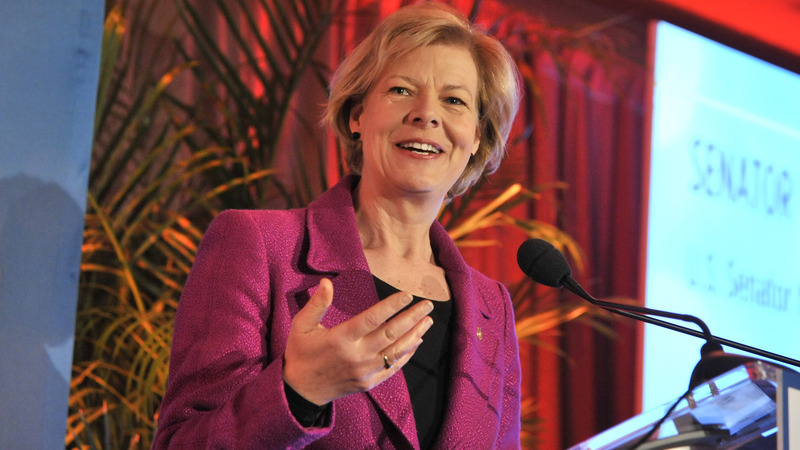 "Tammy Baldwin is fighting to protect the rigged system, and Wisconsin is paying the price." Brad Bainum, a Democratic Party of Wisconsin spokesperson for the 2018 Senate race, responded to the Freedom Partners' allegations. "The dishonest smear attacks continue as out-of-state special interests pour in millions of dollars to take down Tammy Baldwin and replace her with someone willing to sell out Wisconsin families," Bainum said in an email to CBS News. "The truth is, Tammy supports tax cuts for Wisconsin working families, while far-right ideologue Leah Vukmir and Illinois megadonor puppet Kevin Nicholson want to raise taxes on hardworking Wisconsinites so they can gift huge tax cuts to the out-of-state billionaires funding these smear ads."